“Is what true?”, I asked. “Yes”, i replied emphatically and without a moment’s hesitation. Chris, I’ve since learned, is prone to head to the worst possible conclusion. But at that moment, I recognized his concern. He had family trouble. He had school trouble. He was trying to come to terms with his sexuality in a very conservative place. Disaster? No. Struggling? Yes. Five years down the road, Christopher and his husband Andy are both important leaders in our congregation. Just last week, they both testified, from the pulpit, about how important the church is to them and why people might want to join them as they called a House Church to work on human rights. Chris and Andy and I on the day of their blessing. 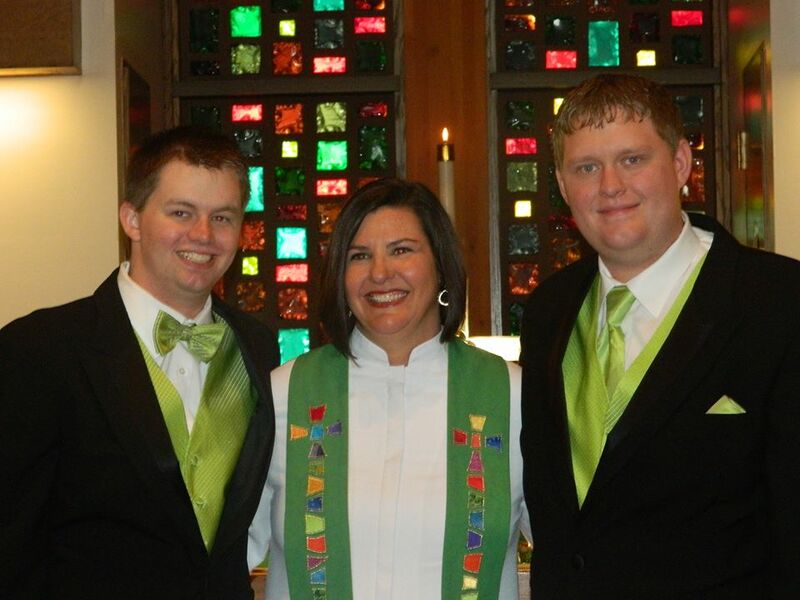 When they were married in New York, because neither the State of Idaho nor the PCUSA currently recognize same gender marriage, it was important to them to have a blessing of their marriage in our church. You can read about that day here. And here is a video with their reflections about why marriage matters that was shared at the Covenant Network Conference in Chicago in October. Andy is on the left. Chris is on the right. Every year, as the church celebrates Baptism of our Lord Sunday, I give thanks for Christopher. I am thankful for a young man who was willing to ask a tough question, even as he feared the answer. I am thankful for his faith, for the eagerness with which he has journeyed down the path of discipleship. I am thankful he recognized the unfathomable gift of grace that is present in baptism. And what good things God has done through him in our midst. 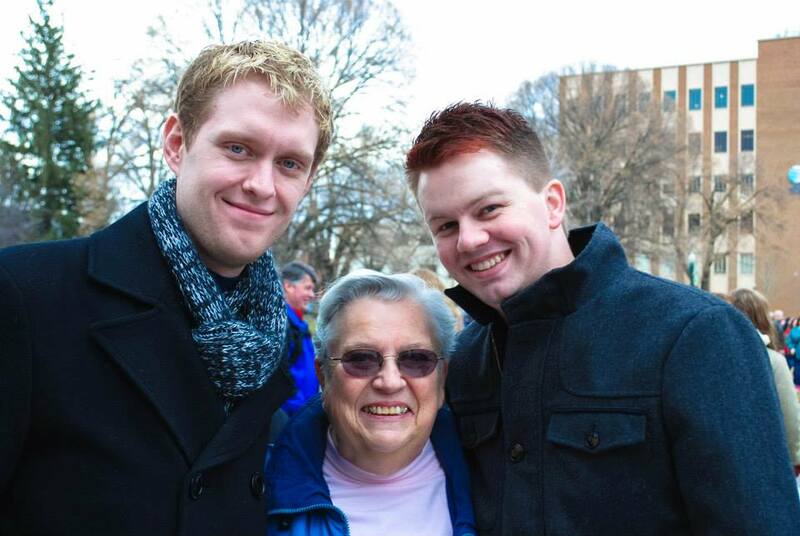 Andy and Chris today at a rally with Kay, who was Chris’s sponsor when he was baptized. 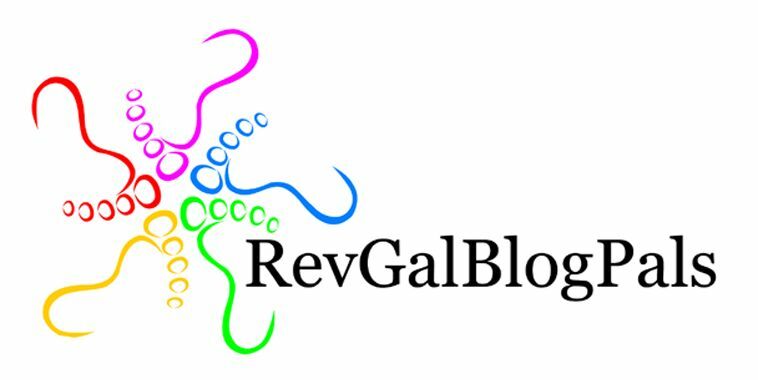 January 11, 2014 in Baptism, Covenant Network, inclusion of GLBT in the Presbyterian Church, Reflection. Marci, thank you. I was just struggling for a sermon illustration for today, and this story is joyous and lovely. The power of baptism, made real for people! Thank you. Glad you can use the story! Hope to meet you this summer at GA! Just home from church, and wanted to share with you that your great story — Christopher’s great story — made more than one person cry during the sermon. I referenced you and the blog, so I hope there’s even more appreciative traffic coming your way. Big thanks! Wow! Thank you, Marci. And the Church of Jesus Christ. You and I dare not lose sight of the cost, human and institutional, of pressing forward with the marriage debate in the PC(USA). But while there is a cost to speaking, there is also an enormous price associated with the church’s continued silence. With fear and trembling, and in full awareness of the burden it will impose, I want to suggest that the cost of silence has become crippling, and the time has come for Presbyterians to speak a gracious word from the Lord on gay marriage.